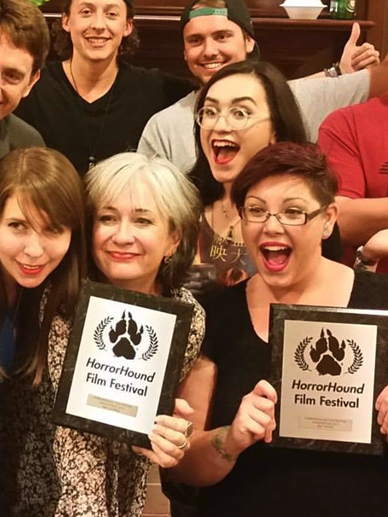 “Suffer the Little Children” wins big at HorrorHound Weekend. Hailing from the great state of Maine has it’s advantages, but it also has its disadvantages; the biggest being the fact that in order to attend some of the larger horror cons, we need to make 2,000+ mile road trips in order to get our films out to larger audiences. But to be honest, we don’t mind. In fact, we we kind of love them. This past weekend, we embarked on a 19 hour drive that’s starting to feel rather familiar, from Maine to Indiana, to attend one of our favorite horror festivals, HorrorHound Weekend. We’ve screened there in the past with The Hanover House (2014 Best Feature Winner), and Tickle, so we felt only right bringing Suffer the Little Children there for its world premiere. Just to be included in this event, screening along films like Turbo Kid, Lake Eerie (Lance Henriksen) and Night of the Living Dead: Darkest Dawn (Danielle Harris, Tony Todd) is a huge honor, but we were blown away to find out we had been nominated for four different awards. The film itself was nominated for Best Short Film, Anne Bobby was nominated for Best Actress, Corey Norman was nominated for Best Director, and Haley Norman was nominated for Best SFX alongside industry master Robert Kurtzman. Haley Norman standing with industry legend, and fellow Best SFX nominee Robert Kurtzman, Robert’s own Mr. Tusk, and director Corey Norman. As always HorrorHound was not a disappointment. As the film began at 1pm on Saturday, the screening room was nearly at full capacity, and my never were in full swing. Twenty five minutes later, the room erupted in clapping and cheers; they loved it! It was one of the best feelings I’ve experienced. Immediately following the screenings, fans of the film flooded into the hallway to meet the cast and crew, including our very own Anne Bobby who made the trip in from New York. Later that night, we again returned to the screening room for the awards ceremony. First they announces that Anne Bobby had won Best Actress. Our small group exploded. We actually won. Anne gave a fantastic acceptance speech, giving special thanks to Stephen King, without whose support this film would not have been possible. With one award in hand, we though the night was over, but we were wrong. It turns out we took home Best Short Film as well! This experience could not have been any more meaningful for us. It was worth every mile, not only to come home with several awards, but to share this experience with all the cast and crew who joined us on this trek, and with all the new friends we made in the process. 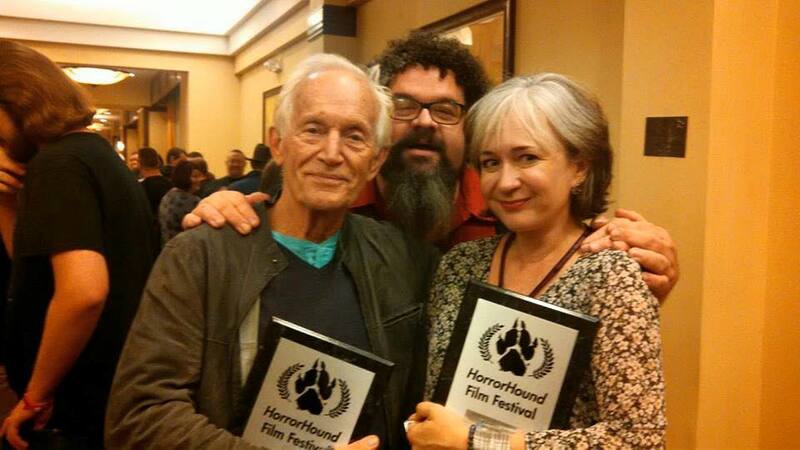 Thank you HorrorHound, we love you all!